For 35 years the mission of AnabolNaturals has been to provide the highest quality nutritional supplements to help you attain your health and fitness goals. In 1983 Roger Prince founded AnabolNaturals, based in Santa Cruz, CA (USA). He had witnessed the successful free form amino acid treatment of a close friend with a drug addiction who was treated by Dr. Robert Erdmann, author of the best selling book on amino acid therapy, The Amino Revolution. After extensive directed research, Roger decided to provide these amazing free form amino acids to the public with efficacious formulas and single amino acids, unsurpassed in purity and potency at reasonable prices. Today AnabolNaturals’ specializes in the development, manufacture and marketing of sports nutrition, health and longevity products—constituted of the highest quality pure crystalline, pharmaceutical grade free form amino acids and ergogenic nutrients. Our effective products are recommended for a variety of health concerns and fitness objectives in the leading national best selling health reference books: Prescription for Nutritional Healing, by Phyllis Balch and Healthy Healing, by Linda Page and by a wide variety of professional and amateur athletes, as well numerous health practitioners. 100% Guarantee – We want you to be completely satisfied with your order from AnabolNaturals. Your satisfaction is guaranteed with a 30 day money back guarantee. If you’re not completely satisfied with your order, we’ll make it right for you by either replacing your item, issuing you a credit or a money back refund. 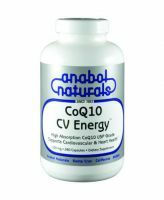 The Highest Quality Nutritional Supplements -- At AnabolNaturals we maintain a large inventory of pharmaceutical grade free form amino acids: longevity, healthy aging and sports supplements. We have only the finest quality raw material ingredients, manufactured under the highest standards for product quality, including purity and potency. With AnabolNaturals you can be sure that what’s on the label is what you are getting. You Can Order with Confidence – As a premier provider of free form amino acids since 1983, AnabolNaturals has serviced hundreds of thousands of satisfied customers in the USA and throughout the world. Thank you for visiting our website. All of us at AnabolNaturals sincerely appreciate your trust in our products and we look forward to serving and continuing to help you with your health concerns and training objectives. Please contact us directly at 1-800-426-2265 (1-831-479-1403 for international calls) between 8 AM and 5:00 PM Pacific Standard Time, Monday through Saturday if we can be of any assistance to you.